A bicyclist was doored then run over by a CTA bus on Friday suffering "many broken bones." According to a relative of the man, Ali Musur, the cyclist is expected to survive his injuries. The driver who opened his car door into the bicyclist's path allegedly fled the scene in a white convertible. The incident took place at about 3:20 p.m.near the intersection of Clark and Arlington in the Lincoln Park neighborhood. According to Mr. Musur, the bicyclist was riding in a bike lane when the door opened in front of him, causing the crash. The impact threw him into the path of the northbound No. 36 Broadway CTA bus which ran him over. The driver of the offending car left the scene apparently not knowing whether his victim was alive or dead. If you have any information about this incident please contact Chicago Police. The story was reported by CBS News. From CBS "About 3:20 p.m., a bicyclist ran into an open car door, fell and was struck by a No. 36 Broadway bus that was northbound at Clark and Arlington, CTA spokeswoman Kim Myles said." That's one way to say it. Here's another: A driver of a car illegally opened their door into moving traffic and caused a collision with someone riding a bike. Come on Steve, that's implying the driver did something wrong. The driver wasn't paying attention, which caused serious injuries to a cyclist. The driver may not have intentionally done it but the driver did do something wrong. This happened around the corner from me, I'll keep an eye out for a vehicle matching that description. 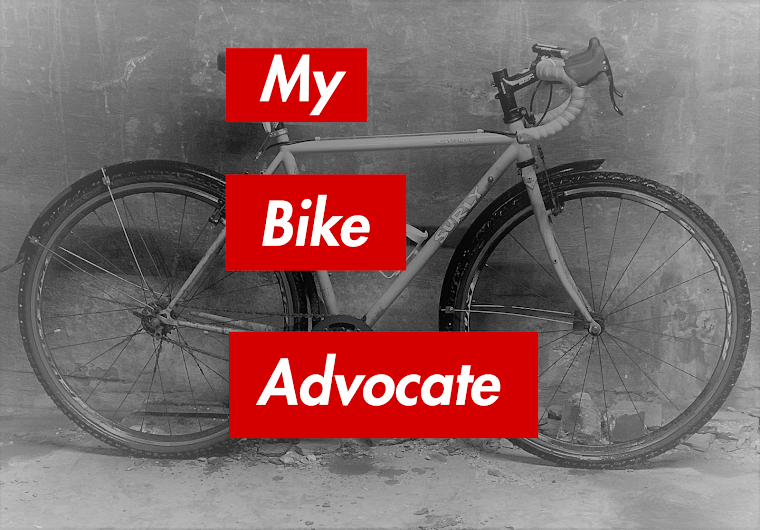 I bike anywhere from 10-30 miles every day and I nearly get doored at least once every day. I've become so super vigilant about it that I've been lucky to avoid actual contact so far. However, I take alot of roads that have actual bike lanes and people are still that flippant and careless. It makes me so mad this happened and so afraid as well. I love it when someone is approaching their, look right at you pedaling toward them, and then open their door anyway. Duh, you couldn't wait a second or two for me go by? It should be a law for EVERY "driver" to ride a bike first in order to get right to drive a two ton weapon. please don't make that law as all new drivers will start running red lights and shoot through crossings while people are on them. You mean exactly like all drivers already do? this isnt an issue of right and wrong, we can keep blaming the other side and still nothing will come out of it. has no one ever heard of defensive RIDING? you risk your life as well as others when on the road, RIDERs and DRIVERs alike. Like being aware of your surroundings in a car, you should also do so for riding your bike. it comes down to paying attention, and riding smart. Matt, I appreciate your comment but I must disagree. While it is undeniably true that all roadwAy users must be alert, opening a car door without looking for cyclists is wrong and a violation of Illinois law and Chicago ordinance. Moreover, something quite tangible would come from blaming the offending motorist in the context of a civil lawsuit: monetary compensation the victim will undoubtedly need to help himself heal from his numerous injuries. In a just society one must take personal responsibility for his or her errors when they cause great harm. There is no reason to believe that the bicyclist here failed to "ride smart.". On at the other hand there is every reason to believe that the driver actedly quite badly. He or she seems to have recognized that fact and fled the scene. 1) i totally didnt read about that part about the driver fleeing the scene. and i agree with you when you say "take personal responsibility for his or her errors when they cause great harm." i say lets use this incident to help bring more awareness to sharing the road. 2) i had more written there but some how my comment was edited (maybe?) and it was left out. i had also said "if your in a car, please before exiting your car, be sure you are clear to open your door." Mat, Thanks for your constructive comments. We are in complete agreement that this incident should be used to help bring more awareness to sharing the road. Sorry to hear that a part of your comment was left out. I never "edit" comments, even if I disagree, as long as they are not vulgar. Thanks all for your concern....the rider had a better day today. Still lots of pain and will have a long road ahead but they are moving him out of ICU today or tomorrow. Still no word on the owner of the White Convertible who caused the accident. Please contact the Police if you have any information....Thanks! Thanks so much for that update! I'm glad to hear that he's improving. I think there should be stiffer penalties to motorists as well as bicyclists who don't abide by city ordinance. Too often, people feel they can drive in the bike lanes for several blocks. Disregarding a motorist/bike lane is an offense and should be considered an illegal offense.